Ever on the lookout for interesting narrative experiences I discovered that Sudden Oak, the people behind The Silent History (which I write about here), have some other published projects. That of course necessitated an immediate download of Pickle Index, their narrative with an attractively-goofy name. Watching the trailer will alone give you the sense that you’re in for something unusual. Pickle Index is a serialized story of a dystopic world with a form of mandatory social media where citizens MUST create, read, and share recipes for pickles. 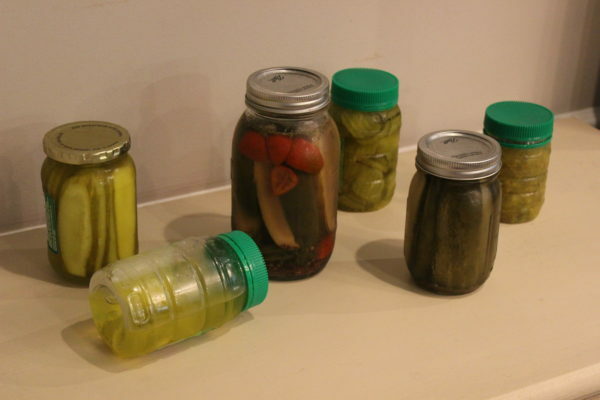 Important, full disclosure before we proceed: I’m not into pickles. I’ll occasionally put them on a hamburger and it’s not that I dislike them, I just don’t see them as more than a garnish. Blasphemy in some circles, I know. Not that it really matters, the whole pickle thing is more of a delivery mechanism for telling what is a very quirky but thoughtfully written story of an accidentally subversive circus troop. The language of the Pickle Index uses a lot of charming jargon but never veers into being overly quaint. I wasn’t sure what I had gotten myself into at first but slowly got on board each day as pieces of the story were revealed. The delivery of the story is an interesting one with the app gated over a span of ten actual calendar days. Only like Lifeline perhaps had a story pervaded my daily routine like this, where new story segments appear amid work and home life. That format made Pickle Index a little harder for me to steadily engage as I wanted to hoard story segments for when I could properly appreciate them. The story segments aren’t lengthy but there are a lot of small touches within the presentation of the app that I didn’t want to miss. Pickle Index is full of little, purposeful user engagement points tucked away in all kinds of corners. 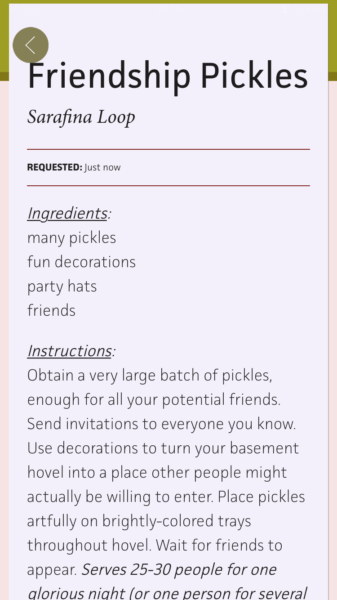 For instance I hadn’t realized that you can submit your own pickle recipe to the index until I saw the icon in the corner. Of course I had to submit an entry. 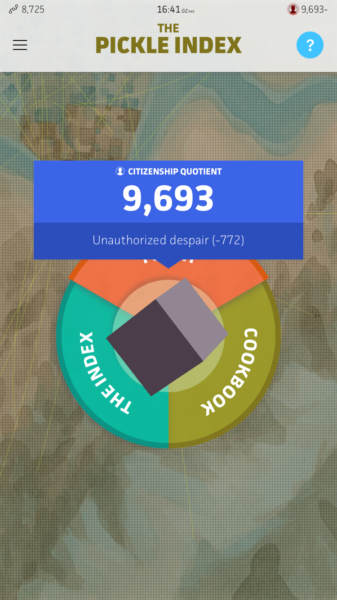 I REALLY want to know if it feeds into the index of other real users as that level of participation would be amazing. More and more I hunger for this kind of narrative experience. 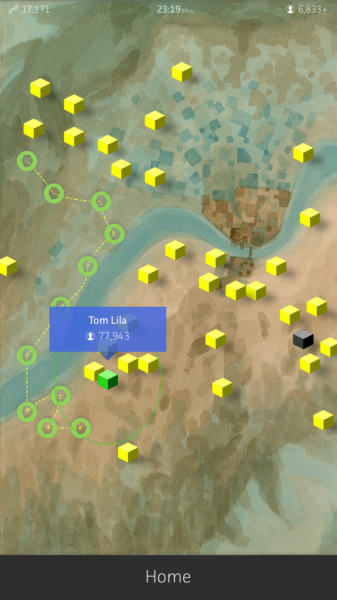 There’s a whole world of “traditional” interactive fiction out there but stuff like Pickle Index is a step above. There’s a gorgeous paper edition of the story if you want a format that you’re a little more used to, but I highly recommend the app. Sudden Oak has one more published work that I haven’t tried and I can’t wait to download it.